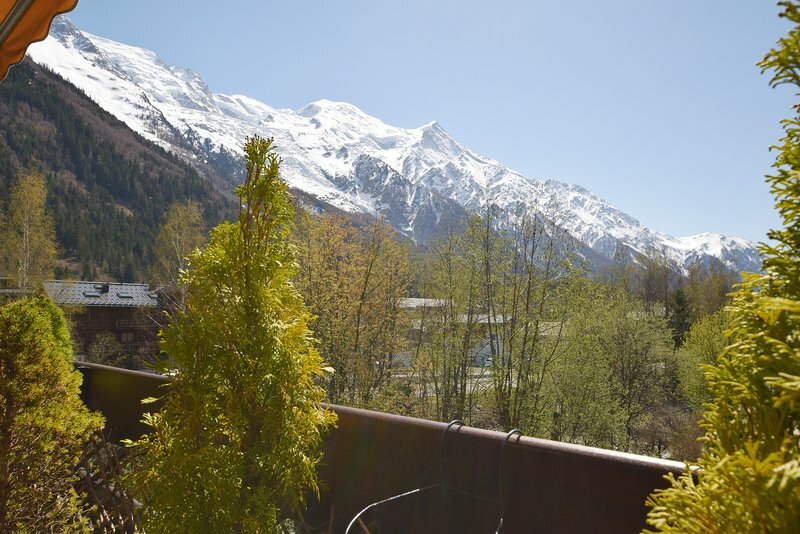 An immaculate 2 bedroom 2 bathroom triple aspect apartment with large west facing balcony and Mont Blanc views and an underground garage. 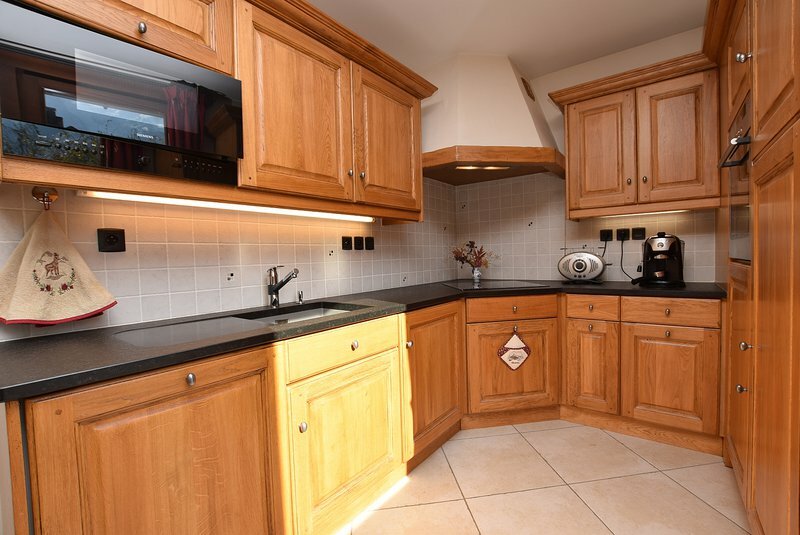 The apartment has a fully fitted bespoke oak kitchen and a good sized living area, two bedrooms (one with an en suite shower room) and a family bathroom. 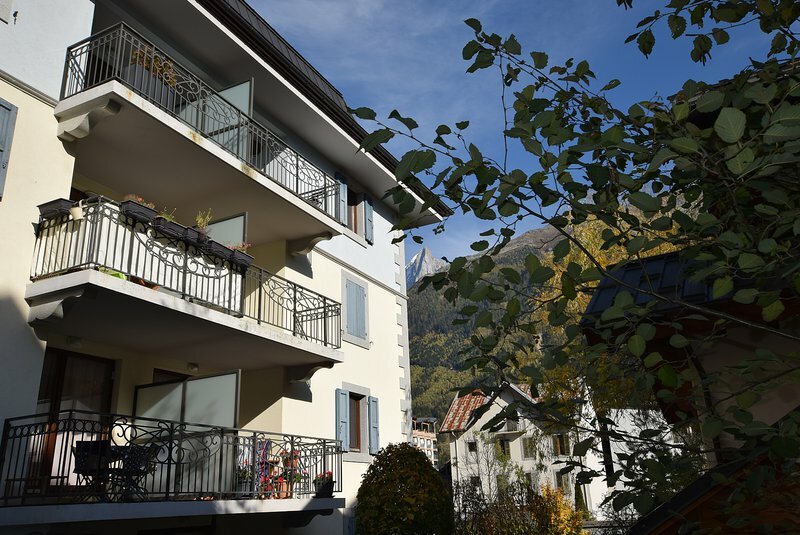 The residence was built in 2009 and is conveniently located right in the centre of town with the ski slopes within walking distance. 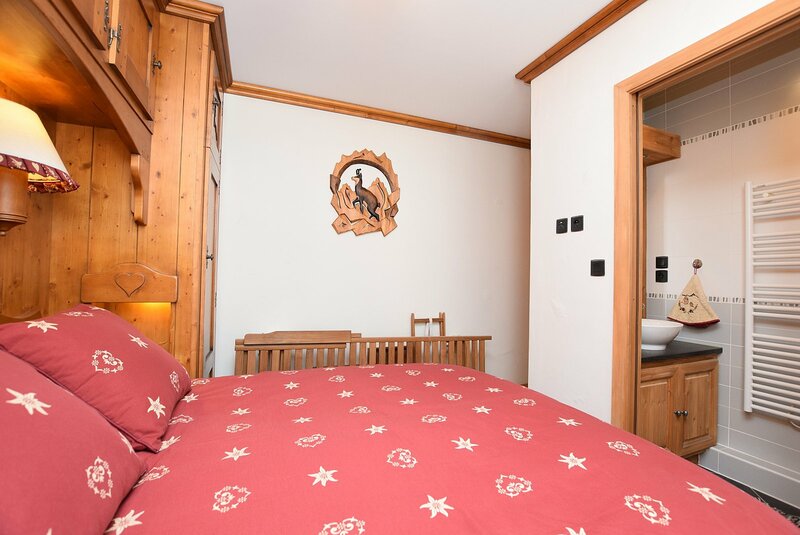 It comes with a garage in the basement, three caves and a ski locker. 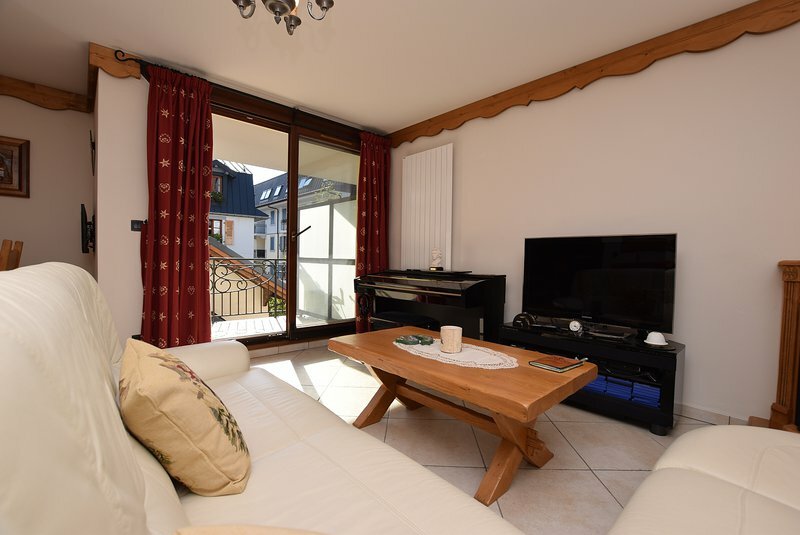 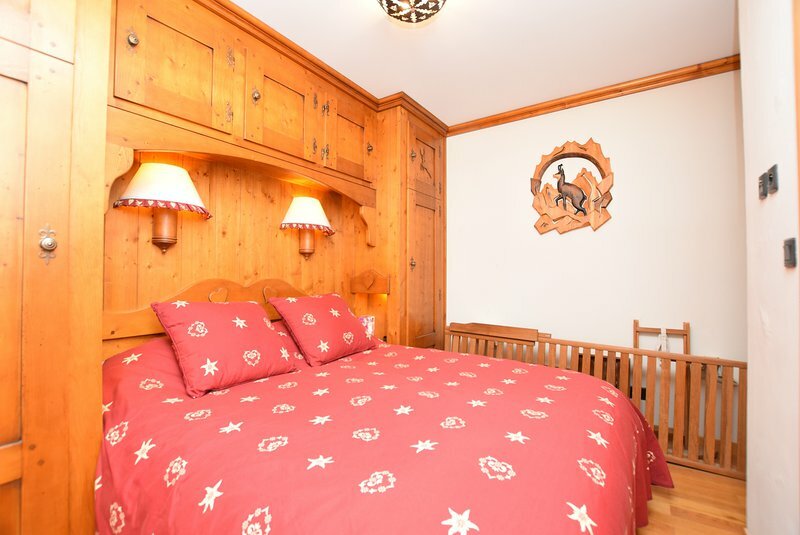 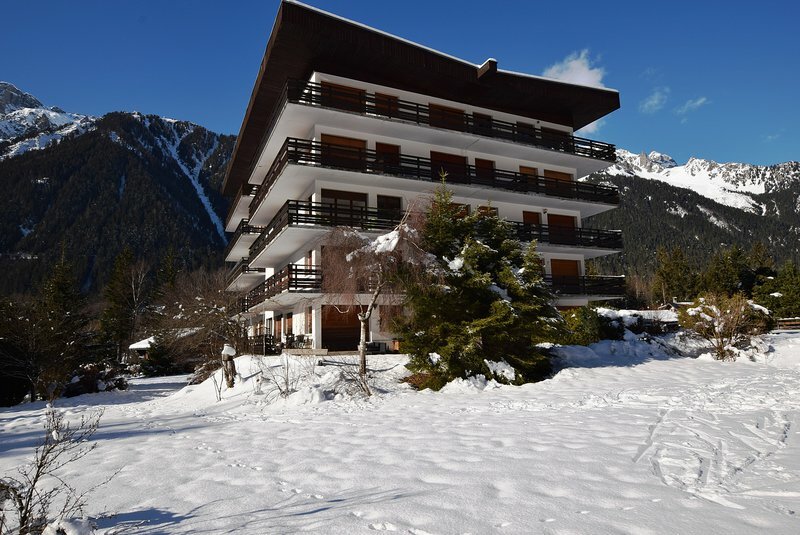 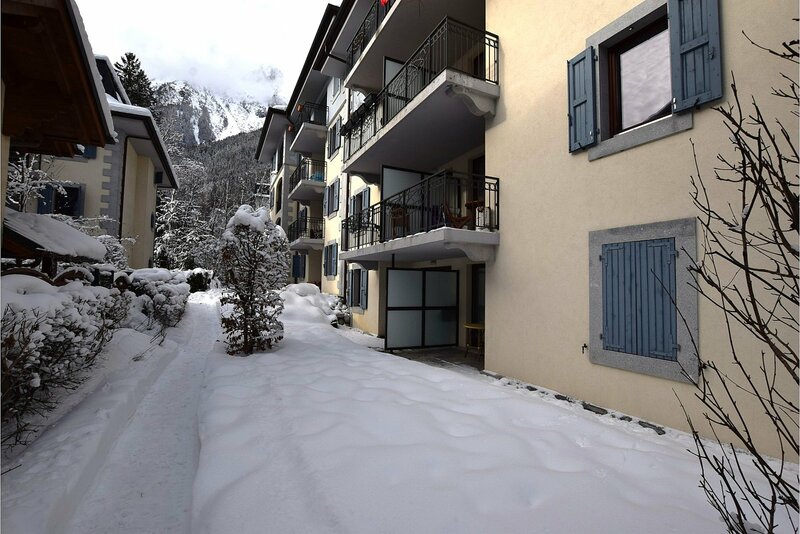 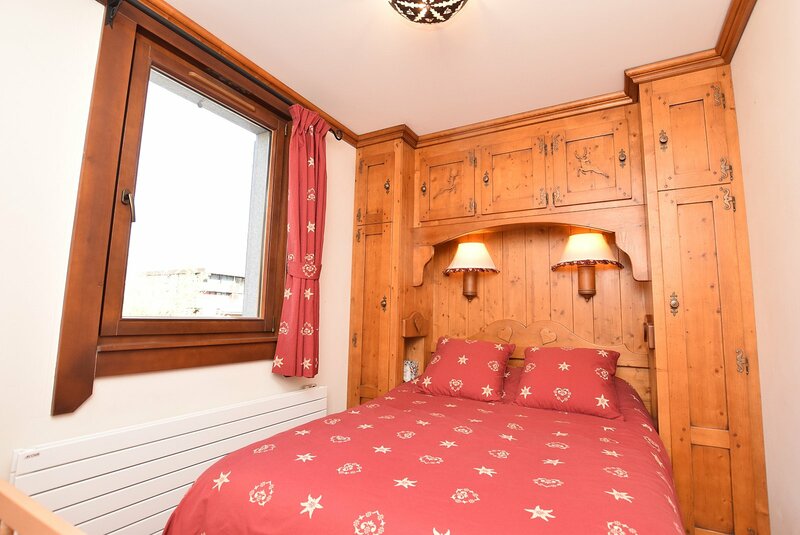 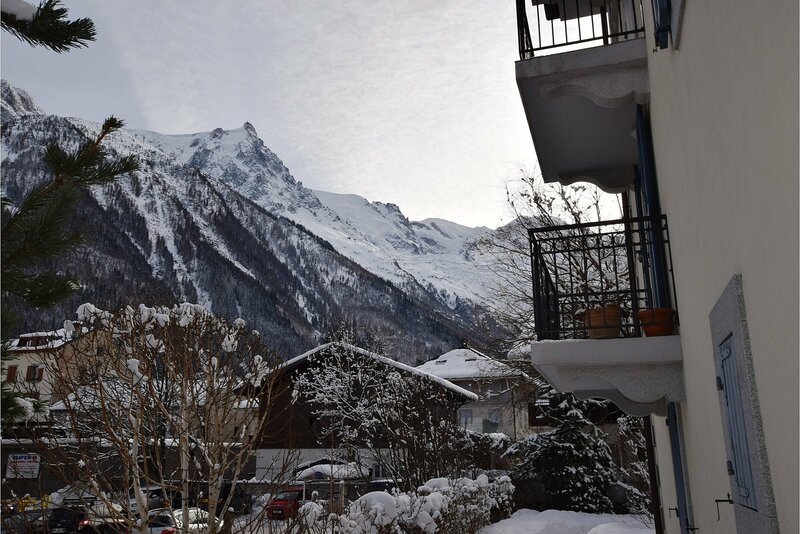 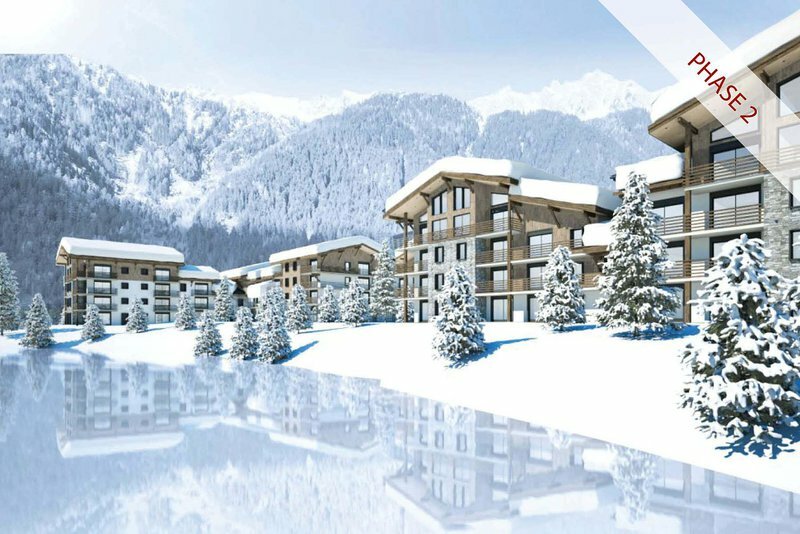 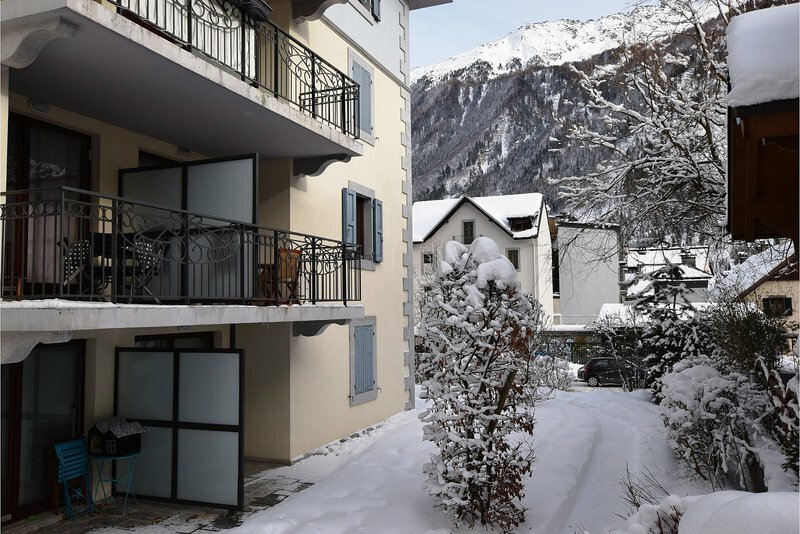 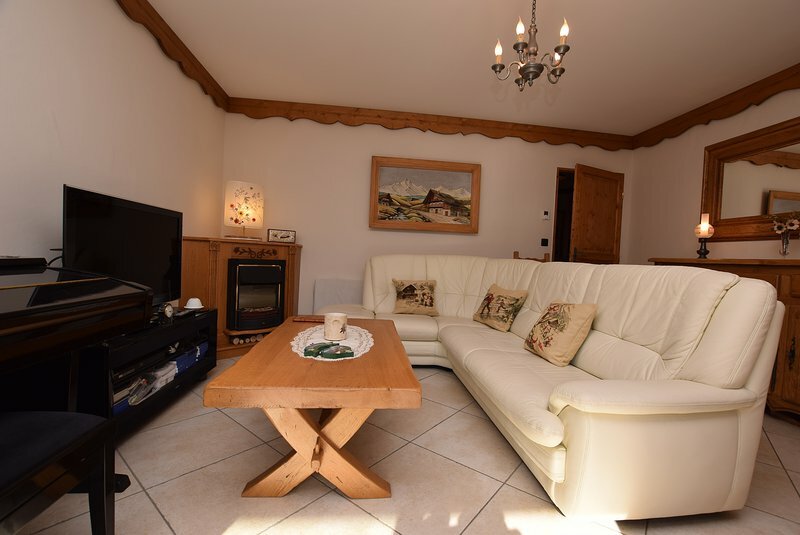 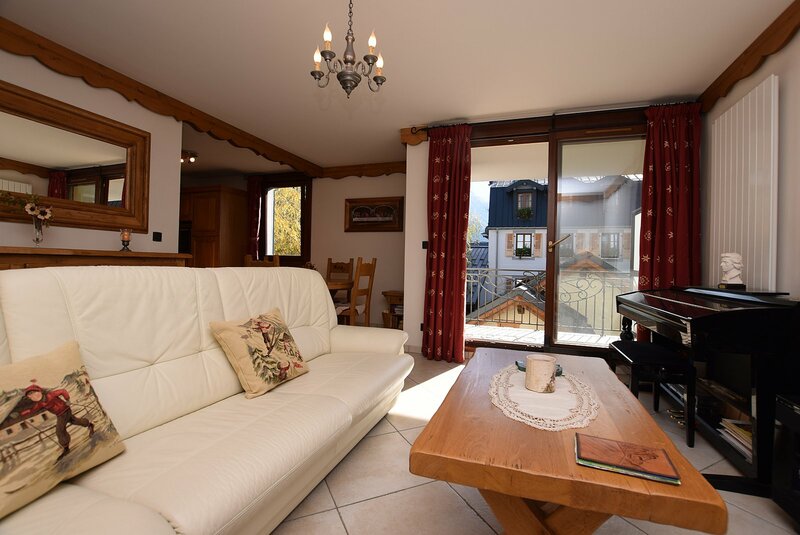 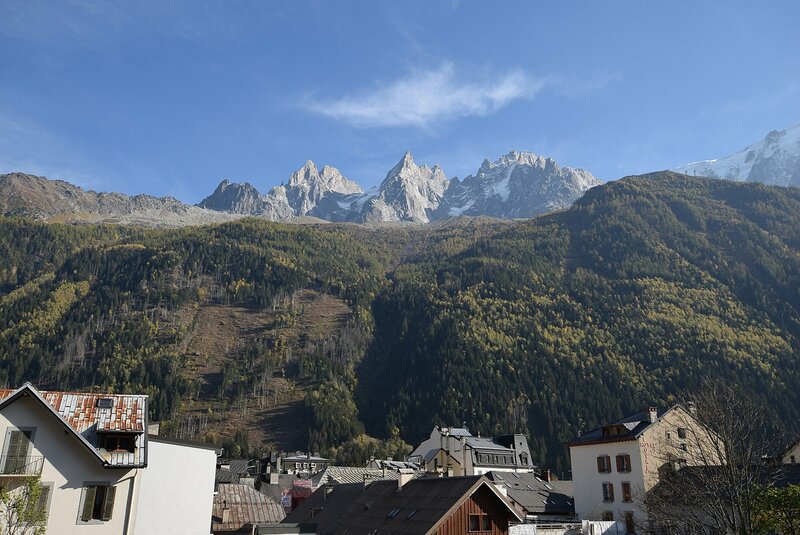 This apartment is in a great position in the centre of town and in easy walking distance of the slopes. 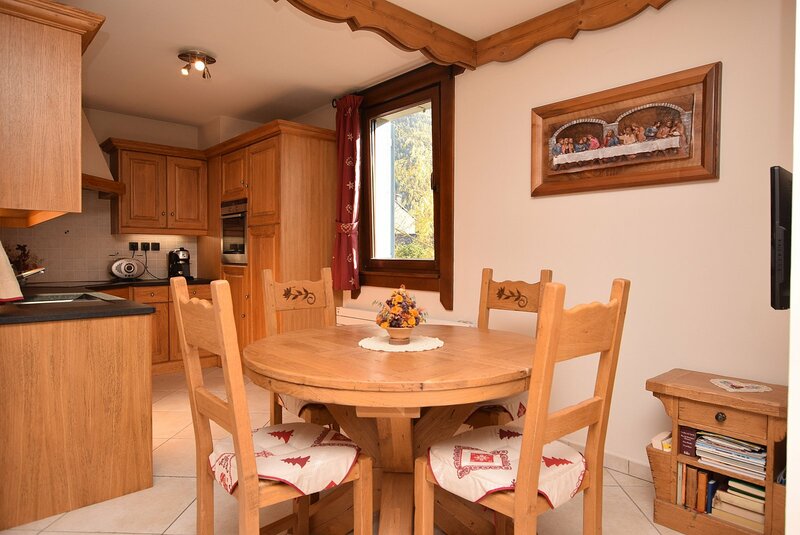 It is in superb condition and has everything you would hope for to make a second home. 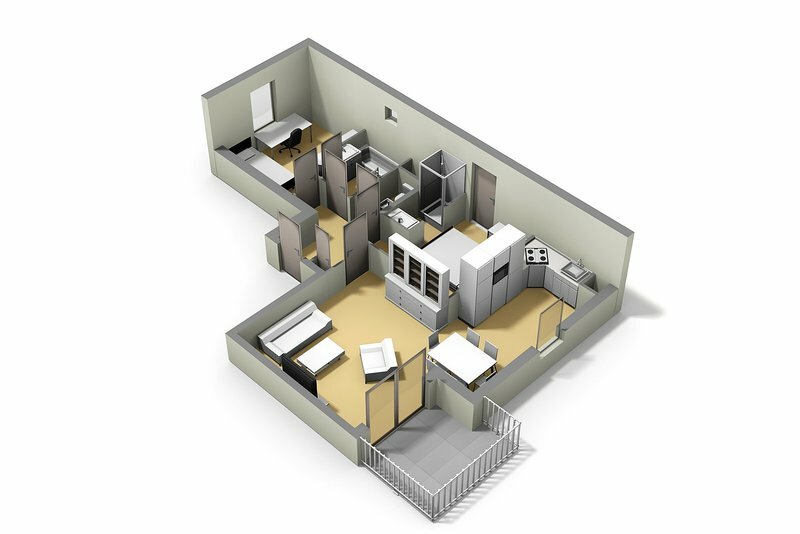 For those looking for revenue from occasional rental it has the added benefit of lots of storage. 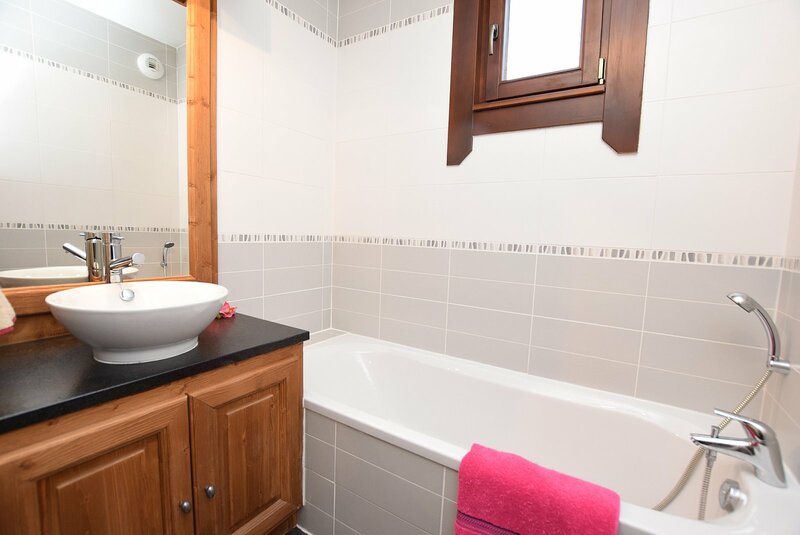 This apartment is right in the centre of town, with easy access to the shops, restaurants and bars, while at the same time not being affected by noise. 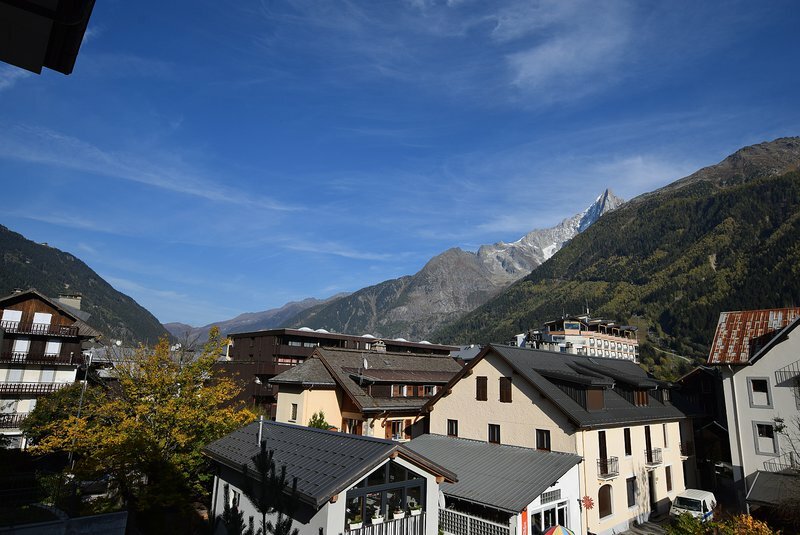 The main bus stop which serves all the ski areas is 100m away, and the beginners Savoy slopes which lead to Brévent are only 200m away. 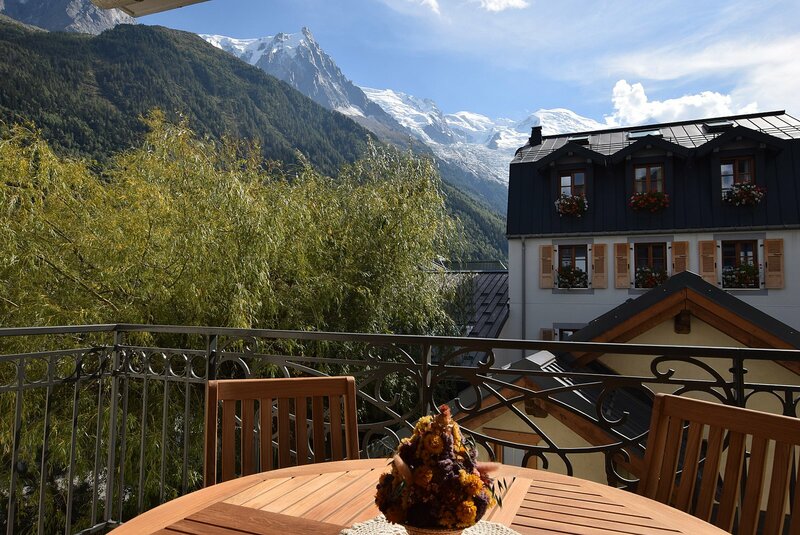 A really fantastic location.